Bihar government failed to ensure food supplies to flood victims, leaving them to fend for themselves. More than two weeks after flood waters swept through the district of Araria in northern Bihar, dry rations to be distributed as the relief supplies on part of the government were being packed by volunteers at the office of the district collector. 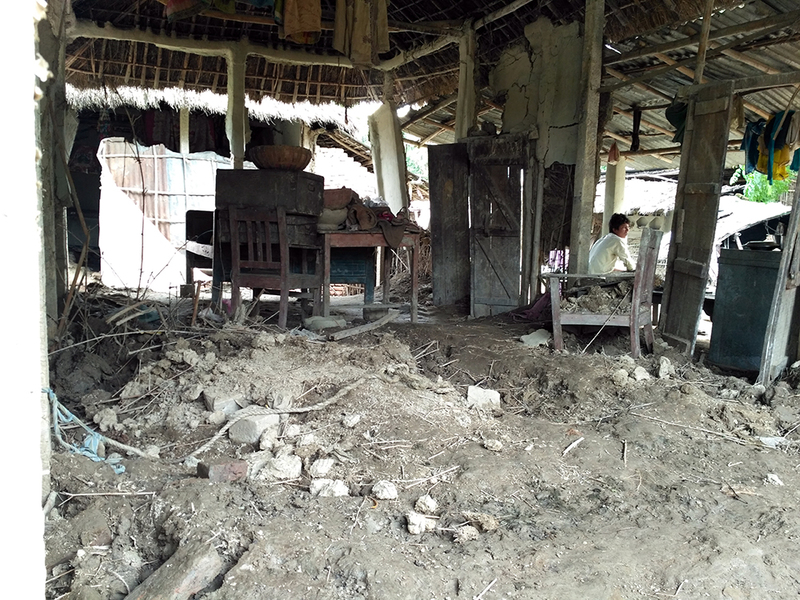 The volunteers said the first supplies of dry rations were packed and dispatched on August 23 – ten days after devastating floods struck the area. So far, 514 people have died in the floods in the state. 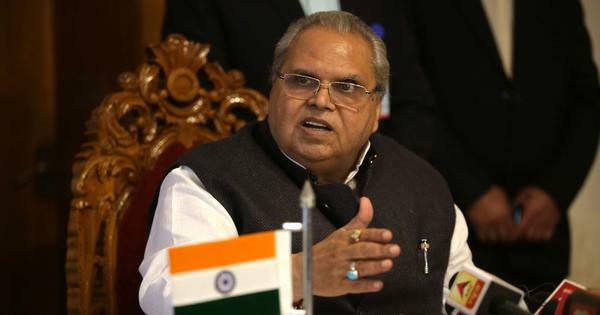 According to the guidelines in the state’s disaster management policy, the government should immediately provide food to flood affected people, alongside monetary compensation, for a period of one month or more if required. 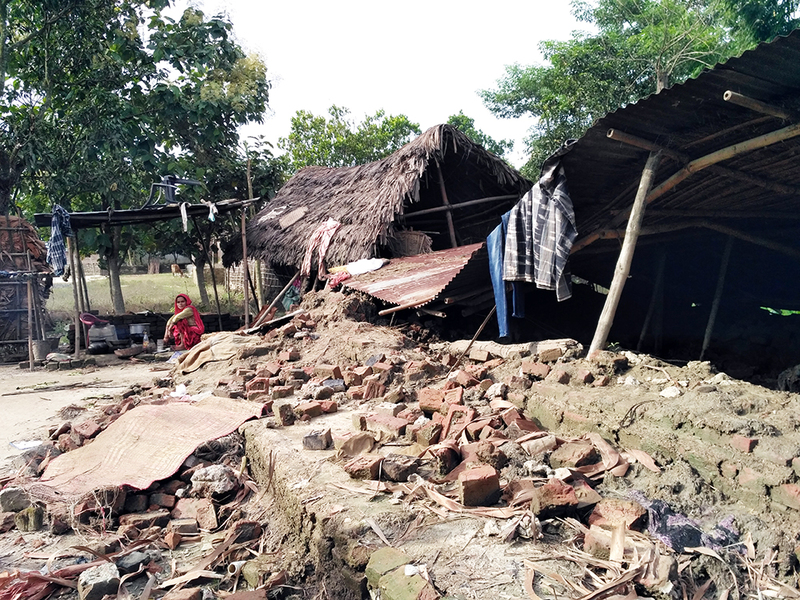 But on the ground in Araria, where 95 people have been killed – the highest in a district in Bihar – and 2.2 lakh people rendered homeless in floods that started on August 12, residents say relief operations by the government took days to begin. A press statement issued by the state disaster management department on August 20 claimed 31,908 food packets had been airdropped over the flood affected areas across the state. The statement also said 492,174 people had received food in 2,569 community kitchens – 132,000 people in 992 kitchens in Araria district alone. Around the district, however, there were widespread complaints by residents that they had been largely left to fend for themselves. While some had commandeered mid-day meal stocks in nearby schools, others went without food for days. Gayatri Devi, a resident of Khariya basti in Araria town, who lost almost everything in the floods, said for the 15 days she and her family spent on the highway, they mostly went hungry. Amrit maintained that relief supplies by the government eventually reached 13 lakh people across the state. As India turned 70 on August 15, the people of Araria district had little to celebrate. Three days earlier, heavy rain started pounding the area, which adjoins Nepal. The rain intensified over the next two days. By the evening of August 13, the Bihar government’s disaster management department had categorised Araria district as “entirely affected by floods”, alongside adjoining Purnea and Kishanganj districts. 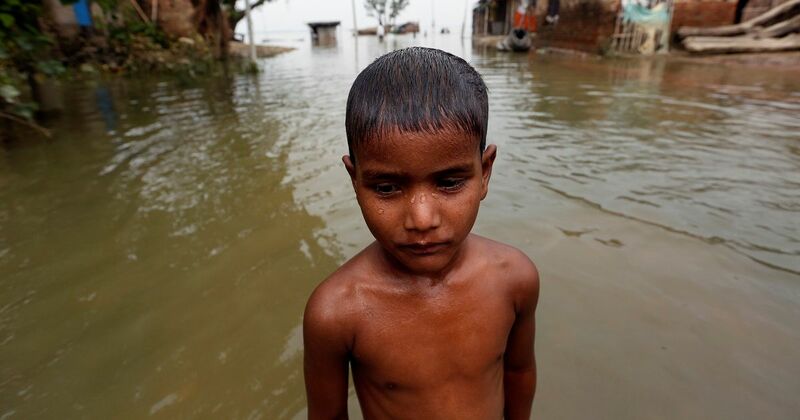 Bihar, one of India’s most flood-prone state, faces devastating floods year after year. Much of the flooding is caused by the Kosi river, a major tributary of the Ganga, which drains eastern Nepal. During the monsoon, a combination of glacial melting in the Himalayas and heavy seasonal rain often leads to a surge in the level of water in the river, which leads to flooding downstream. 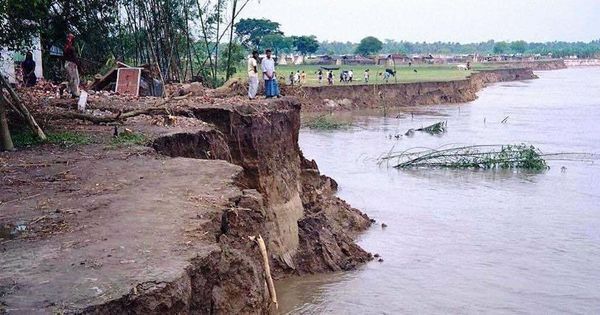 In a letter dated April 24 to collectors of all flood-prone districts in the state, including Araria, Bihar’s disaster management department asked the local administration to put in place measures to deal with possible floods by June 30. These measures include identification of vulnerable populations, protection of embankments, putting in place information dissemination systems, arranging for boats, polythene sheets, medical aid for humans and cattle, making provisions for safe drinking water and dry ration. Yet, when the floods arrived, the administration was caught completely unawares. Instead of information on rainfall and flooding from a well-prepared administration, people relied on television channels for updates about rising water levels. As water rushed into houses and farms across villages and towns in this district, people fled for their lives, most unable to carry anything with them. They spent days on elevated highways and along railway tracks, often with nothing to eat, even as the rain continued in spells till the third week of August. On August 15, the department noted that more than 7.5 lakh of the district’s 28 lakh population had been affected. By September 5, this figure would be revised to 17.5 lakh flood-affected people. The August 15 press release noted that only 101 personnel from the National Disaster Response Force and State Disaster Response Force had been deployed in the district, with only 11 boats at their disposal. This indicates most people in the district were left on their own to deal with the flooding and the aftermath. While Bihar Chief Minister Nitish Kumar and Prime Minister Narendra Modi conducted an aerial tour of Araria on August 26 ostensibly to oversee flood relief operations, local residents say that there was little to see in terms of rescue and relief operations for those who were dealing with the tragedy on the ground. By the end of August, the disconnect between people’s needs and government action in the district was glaring. 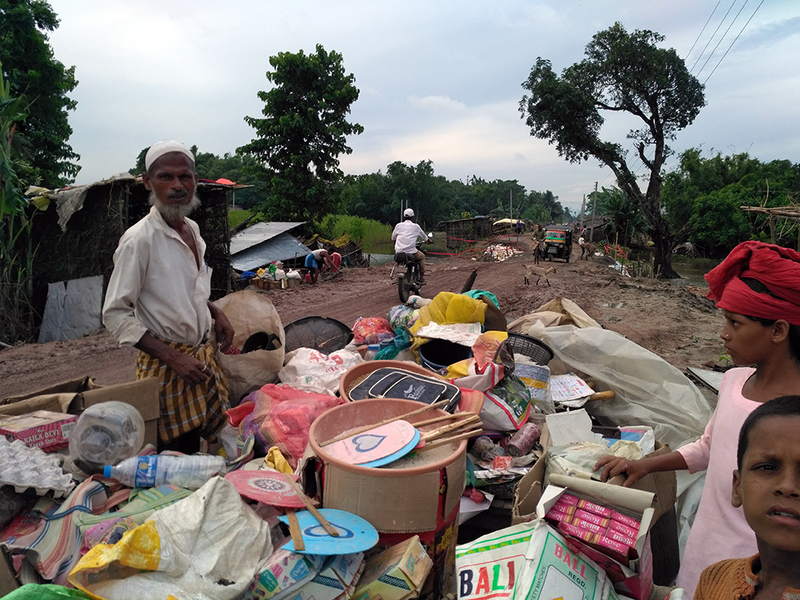 Although two weeks had passed since the waters started receding on August 15, people say there was no agency of the state and no government officials on the ground to help them as they started gathering together the scattered fragments of their lives. According to the Bihar government’s latest figures, Araria has been worst affected by the floods. 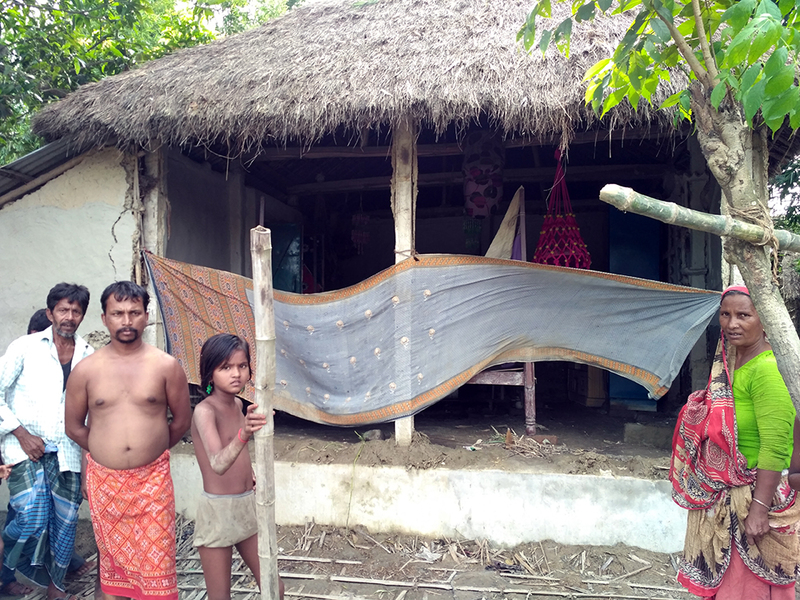 Though the total population affected by floods (17.5 lakh) is less than that in West Champaran, Katihar, Sitamarhi and Darbhanga districts, Araria has the highest number of people who have been rendered homeless (2.2 lakh). Even then, disaster management operations here are proceeding at a languid pace with little attention being paid to the standard operating procedures for flood relief. While government statements immediately after the floods struck said that the state had made arrangements for community kitchens as well as made efforts to ensure the supply of essentials to flood-hit areas, people said that relief camps, wherever they were operational, were made possible because of local initiatives and not due to interventions of the state. In most places in Araria and Purnea, as the waters rose, school and aanganwadi buildings were transformed into informal relief camps. Community leaders took the lead in starting free kitchens in schools, utilising grain stocked for mid-day meals for flood relief. In Shankarpur panchayat bordering Nepal for instance, gram panchayat members swung into action much before the worst of the flood hit. The six locally arranged relief camps in Shankarpur panchayat operated for around four to five days, providing much needed food and shelter to 2,500 to 3,000 people of the 10,000 strong population. For many, like the residents of Arariya town’s Kharaiya Basti, even these relief camps were not accessible. Mohammed Mushtaq, a resident of the basti who earns his livelihood as a labourer in welding works, says people in the low-income neighbourhood had no option but to take shelter from rising waters on the state highway, around Ghodi Chowk. Shahid Alam recalled how the water came suddenly. “At around 4 in the morning of August 14, I saw that rising waters from the river close by had reached the road. 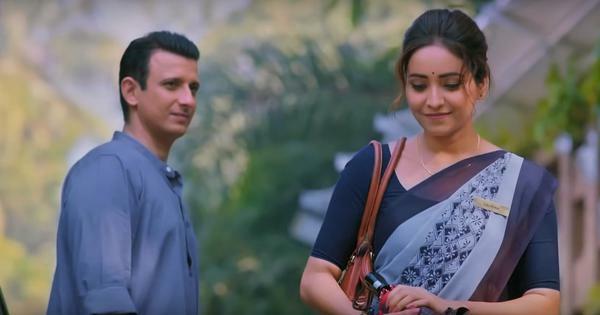 Within less than an hour, it was in our courtyards, and rising rapidly,” he said, while pointing at damp marks on still standing mud walls that showed how high the waters had risen. “It was almost seven feet, enough to drown all of us,” offered his neighbours. 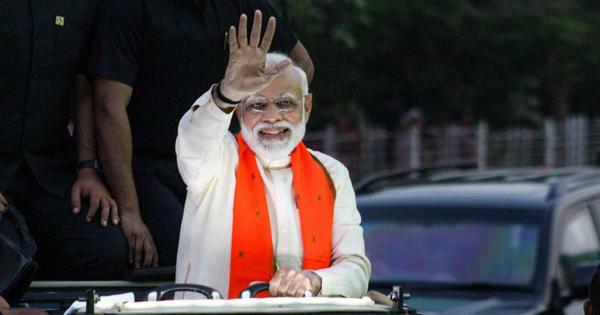 Although the government had passed orders to distribute food packets (comprising 5 kg rice, 1 kg dal, 2 kg potatoes, 0.5 kg salt and turmeric) on August 15, people said they started receiving these only towards the end of the month. “Even then the potatoes they supplied were rotten, and in some cases, the dal of very inferior quality,” said Mohammed Niyaz of Kharaiya basti. Indeed, in the areas in the district where this correspondent travelled at the end of August, the only relief available to people till then had come from a handful organisations like the Samiti, Bihar Youth Organisation, Red Cross and the Association for India’s Development, a non-profit. A local resident overhearing this conversation, who said he was part of the group that distributed these packets in the Mahadalit hamlet outside Shankarpur, said that the party had bought supplies for the food packets from Nepal because none were available on the Indian side following the floods. Update: This story was updated at 3 pm to include the response of the principal secretary of Bihar’s disaster management department.